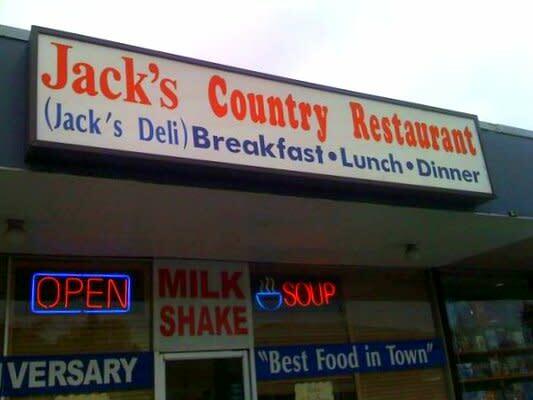 Jack's Country Restaraunt of Des Moines is considered "good cheap eats" and the establishment offers a casual laid back atmosphere with free parking. Breakfast can include scrambled eggs with coffee, or try the classic chicken fried steak served with gravy, toast and hashbrowns. Popular lunch items include hearty stews, burgers with fries and shakes, and "melts." Visit this classic restaurant today for all of your breakfast favorites.